There’s no need to hit up a national retail chain or shop online for Christmas gifts (or any gift for that matter!) when we’ve got so many fantastic local gift shops to browse through and support. In fact, there’s so many that it’s too hard to pick just 5, so this is another two parter with gift shops East of and including Beaufort Street as Part 1. Part 2 will head West. If I’ve left off your fave leave a comment below! Offering a carefully curated selection of gifts, homewares and items for both men and women and some great left of centre cards this little local is one of my faves. 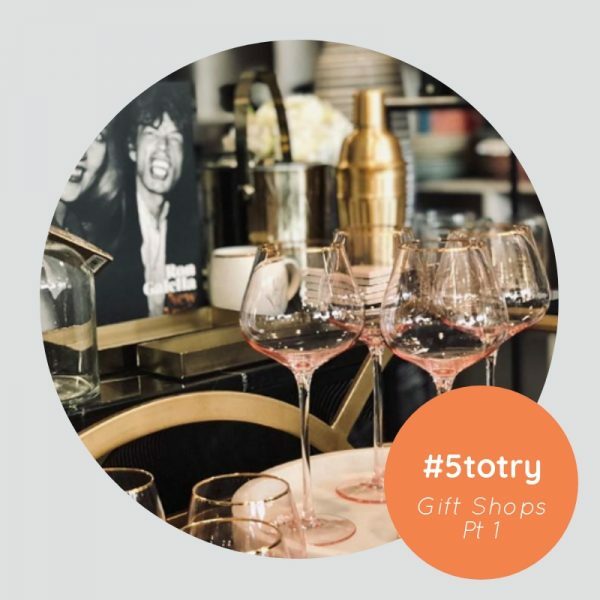 Full of gorgeous homewares, prints, accessories and other lovely things, you’re sure to find something for that special friend or female in your life here. There’s so many great things for everyone at Daisy & Rowe – homewares, gifts, fashion, books – I could snaffle up the whole store. Love it. Dedicated to all things kids, The Stripey Horse stocks a superb selection of books, games & gifts for babies through to tweens. Handily located opposite the Inglewood library. A new addition to Maylands Firefly stocks homewares, home textiles, gifts, artwork, accessories and more. And that’s it for Part 1 – look out for part 2 next week. Who did we miss? Let us know!